By pursuing three main goals, we strive to create students who will thrive in college and beyond. Our first goal is to develop critical thinking skills required for students to understand and evaluate fiction and nonfiction. The second goal is to enable all students to write clearly, analytically and creatively. Our third goal is developing students’ values by synthesizing course content with students’ experiences using Ignatian pedagogy (context, experience, reflection, action and evaluation). By achieving these goals, students will become intellectual, independent and just leaders for our community. The Brophy English Department values stories and storytelling in all of its course offerings. In an effort to capture some of the stories that define their lives, our English teachers sat down with our resident interviewer and former public relations specialist, Wayne Catan. (Recently, Mr. Catan interviewed winners of the PEN/Hemingway Award from the last four decades.) Look below a teacher's biography for an interview to learn more about their lives, personal histories, and orientations towards reading, writing and teaching. Mr. Damaso earned a Bachelor of Science from Georgetown University where he studied linguistics and English (writing concentration). He taught English and Latin at Brophy from 2001-2004 before pursuing a Master of Arts in linguistics from Queen Mary University of London. Mr. Damaso then taught English as a Second Language at ASU and subsequently served as communications and marketing coordinator for the American English and Culture Program at ASU until 2007, when he returned to Brophy. He serves as an adviser to the Brophy Literary & Arts Magazine (BLAM), to Brophy’s satire newspaper, The Wrangler and to the Peer Editing Network (PEN). Mr. Damaso writes about educational technology on his blog. Are you a native Phoenician? If not, what brought you to Phoenix? No. I was born in the George Washington University Hospital in Washington, D.C. when Jimmy Carter was President. We lived in McLean, Virginia, and I attended a local Catholic school. On July 4, 1989, my family decided to “light out for the Territory” and move to a 116-degree Phoenix, AZ, where my grandparents lived, to attend St. Francis Xavier. I’ve learned from students and friends that many people come to the desert for reinvention, and I suppose the Damasos did, too. I am the the third and youngest child (Mike, BCP ’94; Karen, XCP ’92), and my folks still live nearby in Scottsdale. We know that you graduated from Brophy in 1997. Did you know – during your time as a student – that you would come back and teach English at your alma mater? I tell students now that I simply loved being in a school, so perhaps returning to teach was inevitable, but, no, I didn’t know at the time I would teach at Brophy one day...and now for fifteen years. In fact, I still say I’m not sure I am a teacher. Something about keeping the door open to other opportunities -- open to growth, right? As a student in the 90s, I knew I loved words, language, and publication. I was the Editor-in-Chief of the Brophy yearbook, and I thought I would become a journalist. TIME Magazine was the goal back then. The other plan was to go study architecture at the University of Virginia. I had visited Charlottesville and was mesmerized by Jefferson’s architecture, especially his serpentine (technically, crinkle crankle, I just learned) garden walls. What was your major at Georgetown University? And who inspired you to secure a master’s degree in linguistics from Queen Mary University in London? I registered “undeclared” as a first-year student, but I was pretty sure I was an English major with a concentration in writing. Then I took an Introduction to Languages course in linguistics from a graduate student and got hooked. I had finally found a discipline that combined my interests in language, analysis, society, and, frankly, minutiae. I graduated with a double-major in English and Linguistics. Factoid: Since my majors were in two different colleges at that time, the Georgetown Registrar gave me the option to receive a BA (English) or a BS (Linguistics), so I chose the BS because BSLI sounded cooler! After teaching at Brophy for three years, I was keen on pursuing more education and wrote to a Georgetown Linguistics professor who had mentored me. I wrote that I was having a “¼ life crisis” and didn’t know what to do next. She emailed back that she was in London and that I should come do an MA at Queen Mary and help her with her book investigating the language of journalism (News Talk from Cambridge Press). That year was formative for me, partly because of the research I did on slang lexicography, partly for the access to London, but also because I lived in a graduate student flat with four LLM (law) students from Nigeria, Thailand, India, and Greece. Can you guess who cooked with the hottest peppers? How did you end up back in Phoenix? I came back to Phoenix that summer of 2005 to write my Masters thesis, which they call a dissertation in England, which made me feel fancy. It is called"The New Populist Dictionary: A Computer-mediated, Ethnographic Case Study of an Online, Collaboratively-authored English Slang Dictionary". When I completed the thesis, I found myself teaching ESL at Arizona State University and then doing marketing and communications for that program (American English and Culture Program), recruiting international students for ASU. Eighteen months later I was applying to return to Brophy, a magnetic place, where I remain to this day. What are some of your highlights as English Department Chair? Our English faculty amazes me daily. Steve Smith’s dedication to freshmen and getting to know them and their families deeply influences their Brophy trajectories. Susan Maynard’s care for her students stems from rigor and compassion both, and she is always experimenting, creating courses like Emerging Voices and devising this year’s Summit Reflection Guide. Chad Unrein might just be the best storyteller on campus, and Deb Kauffman is by far the best-read person I know. As chair, I’ve enjoyed creating the Fr. Renna Reading Room in Brophy Hall to preserve a couple thousand books and give students a quiet place to read, study, and relax. Some educational technology like Membean and No Red Ink have become integral to our foundational English classes, and other emerging technologies (CommonLit and Albert) allow for easier test prep. In the past couple years, we’ve hosted professors from Barrett at ASU for discussions of best practices. The Poetry Out Loud program, now in its tenth year, allows students to feel and witness the power of the spoken word in spirited classroom and school-wide contests. Sophomores in English 2 learn about literature and the world through a framework of life of St. Ignatius, which helps align our curriculum to our Jesuit mission. I am proud of how the department has incorporated The Graide Network, an organization of undergraduate and graduate writing tutors who provide substantive writing feedback for our students, as another layer of writing instruction. In addition, the Peer Editing Network (PEN), is an online writing center run by Brophy students who provide tailored feedback to students within 24-48 hours. PEN is in its 5th year! Speaking of student-led initiatives, I admire work like Kevin Yin’s (BCP ’20) Membean Word Counter that he coded from scratch to fill a need at the school. Finally, I am excited to introduce curricular changes for the 2019-20 school year that will place juniors and seniors together for the first time in exciting elective courses like Creative Writing, The Short Stories of Ernest Hemingway, Writers & Current Issues, and Science Fiction. How many years have you served as an adviser to BLAM, Brophy Literary & Arts Magazine, and what are some of your proudest moments as BLAM director? The 2018-19 edition of BLAM, “Serramenti,” is the tenth volume I’ve helped to advise. Scott Middlemist and Chad Unrein co-advised with me in the first years and Austin Pidgeon has done so the last few. I am most impressed by the way students have identified and created ways to engage the school community all year long and not just with the annual publication of the magazine. BLAM staffers have hosted a half-dozen writing and art contests per year, a reading of student prose and poetry at Fine Arts Extravaganza, Black History Month videos and biographies, and Poetry Out Loud. We maintain an archive of student writing and art at blam.brophyprep.org. Every couple years, we take the BLAM staff to visit the printing press that produces the magazine, a visit that demystifies publishing, and students see the intricacies and challenges of making BLAM such a beautiful product. As far as back issues, I have a soft spot for BLAM: Full Connection(2010), BLAM: Remix(2013), and BLAM: Explore(2014), and BLAM: Roots (2017). Each contained an innovation pushing the publication forward. Students enjoy your passion for words. When did the study of words -- etymology and linguistics -- begin to fascinate you? When I was 7 or 8, I went to speech therapy and was given a book I recall being titled Oodles of Noodles. I struggle(d) with /s/ and sibilants generally. That’s probably when I became aware of words as words. At Brophy, I deepened my adoration for words in classes with Fr. Becker and Fr. Renna, and in college, while working one summer at Barnes & Noble in Chicago, I discovered the Oxford English Dictionary single-volume edition (that came with a magnifying glass! ), and I was hooked on word origins and word futures -- how slang can become mainstream with time. Tolkien, famed Lord of the Rings author, once said that one of his most rewarding professional experiences in his life was the time he worked on the OED. Congratulations on your chapter “'Mr. D, Is This, Like, a Real Word?' Stories of a Linguist in a High School English Classroom” in the new book Teaching Language Variation in the Classroom. How did this opportunity come about? I’m in a Facebook group called “High School Teachers Incorporating LINGUISTICS” and have a loose affiliation with a committee aiming to create an AP Linguistics course through the College Board. The Facebook group leader forwarded my name to a couple of professors at Kennesaw State University in Georgia. They were seeking chapters by high school teachers as well as linguists. After a few email exchanges, we settled on the idea of my writing vignettes from the classroom that illustrated my attempts to discuss language variation with my students at Brophy. The chapter focuses on times when the lesson plan went haywire, when student interest in language change trumped the current classroom focus -- when the tangient becomes the lesson. We hear you have a new addition to your family. Can you elaborate? If you had to take five books with you to a deserted island for the rest of your life, what would they be? How to Hide Anything by Michael Connor (purchased from Spy Headquarters in the 1990s). 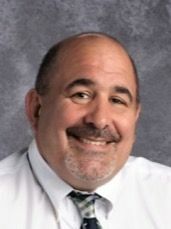 Mr. Catan earned a Bachelor of Science in advertising from Syracuse University and then pursued a career in public relations and marketing. While in the public relations field he also coached wrestling at the high school and collegiate levels. After a successful career in the public relations industry, he became a teacher and taught in schools on the East Coast. He earned a Master of Arts in English literature from Mercy College and a Master of Education from the University of Arizona. Mr. Catan teaches English and coaches wrestling. A budding Hemingway scholar, Mr. Catan has presented papers about Ernest Hemingway at The American Literature Association's Annual Conference, the Hemingway-Faulkner Conference and The 14th International F. Scott Fitzgerald Society Conference. In addition, Catan writes book reviews for The Hemingway Review and the Idaho Statesman. He is also spearheading a project that will have him interviewing all past PEN/Hemingway award winners on behalf of The Hemingway Society. 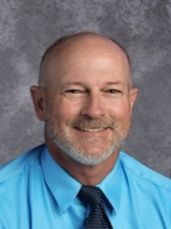 Mr. Danforth earned a Bachelor of Arts in English from Santa Clara University and in 2001, a Master of Arts in curriculum and instruction from ASU. He spent two years in the Peace Corps in Kenya as a high school teacher in English, math and science before joining the Brophy faculty. 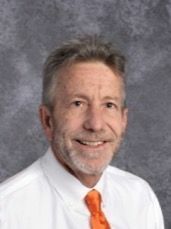 Mr. Danforth has been a member of the Brophy faculty since 1985 and was chairman of the English department for seven years. Mr. Danforth co-moderates the yearly service trip to Puebla, Mexico. 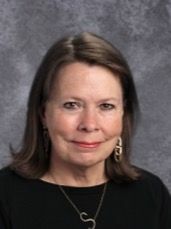 Mrs. Doud earned a Bachelor of Arts in English from Azusa Pacific University in California, and a Master of Arts in Education (with a concentration in teaching and learning) from Argosy University. She currently is working on a second Master of Arts in English at ASU. Prior to joining Brophy, she taught in public education for 11 years, serving as a department chair and district-wide curriculum coordinator. She also has three years of university-level teaching experience. Away from work, Mrs. Doud often can be found under a sprawling tree with a good book and a cup of coffee. 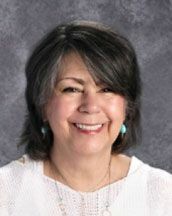 Ms. Kauffman earned a Bachelor of Arts and a Master of Arts at the University of North Dakota and has taught for 30 years. 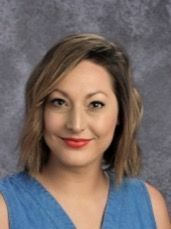 Prior to joining Brophy in 1997, she taught at Xavier College Preparatory, Deer Valley High School and Scottsdale’s Desert Mountain High School, where she was part of its first teaching staff. She also worked for two years as a curriculum specialist in the Deer Valley Unified School District. Before her work in secondary education, she taught for eight years at the university level. Grand Forks, North Dakota--a town about two hours from the Canadian border, on the Red River of the North, a rare one that flows north and divides North Dakota from its neighbor, Minnesota. Yes. As a young teen, I stole copies of Two Women by Alberto Moravia and Lady Chatterley's Lover by D.H. Lawrence from my grandparents’ library and read them under the covers via flashlight. Did you know in college (at the University of North Dakota) that you wanted to become an English teacher? No, I bet on law school--after my first four years getting a bachelor’s degree. When did you make your way to Phoenix? In 1988, when my late husband, Richard Kauffman, Ph.D had me join him in Phoenix--he had been working here for two years at the Arizona Corporation Commission. Where did you teach before Brophy? Which grade levels have you taught, and what are some of your favorite electives that you have taught? 7-8th grade Language Arts; 9th--12th grade English; AP English IV; and College Composition to College Freshmen. My favorite electives: Shakespeare on Film; Modern World Fiction. Which levels are you teaching now? I have taught AP English IV for the past 10 years or so. Tell us something interesting about yourself that we would never suspect? That while in grad school, I once lived in a single-wide trailer and made my own yogurt and had a quilting frame. What are some of your favorite books that you have taught throughout the years? If you were deserted on an island for the rest of your life with just five books, which ones would they be? A whole bunch of mysteries from around the world, e.g., China, the Netherlands, Sweden, and, of course, Great Britain by the Golden Age Mystery Writers: Agatha Christie, Dorothy L. Sayers, Margaret Allingham, et al. Ms. Maynard earned a Bachelor of Arts from the University of Alabama and a Juris Doctorate from The John Marshall Law School in Chicago, supplemented by master's level classes in curriculum development from ASU. She joined the Brophy English Department in 2002 after working in Brophy's admissions office for two years, and never ceases to appreciate the joys and challenges of the Brophy classroom. Mr. McShane earned a Bachelor of Arts and a Master of Education from ASU West. He has been a member of the Brophy faculty since 1994. 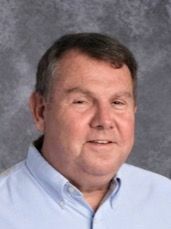 Mr. McShane has taught in the English, Social Studies and Religion departments. He is the moderator of the Covert American Politics Club, Monty Python Club, Musicians Exchange Club and moderator of the hockey team. He knows who killed JFK and is still protesting the Vietnam police action. 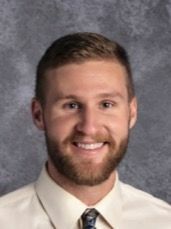 Mr. Middlemist earned a Bachelor of Arts in English from Santa Clara University and a Master of Arts in Education from Northern Arizona University. He has been a member of the Brophy faculty since 1994 and coaches cross country and track. 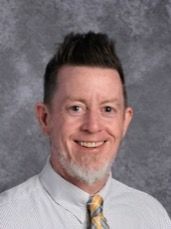 Mr. Pidgeon earned his Bachelor of Arts in English from Santa Clara University and his Master of Arts in literature from San Francisco State University. 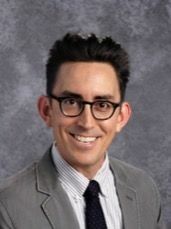 A Brophy alumnus, he has returned to Brophy to teach English and guitar, coach basketball and assist with the Brophy Literary & Arts Magazine (BLAM). Mr. Pidgeon also moderates the Surf Club and the Strings Club. Mr. Smith earned a Bachelor of Arts in English and a Master of Education from ASU. He also earned a Master of Arts in English from Northern Arizona University. He joined the Brophy faculty in 2006. 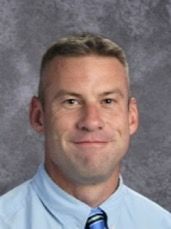 He currently teaches English 1 and coaches cross country and track. He also coordinates the SAT test at Brophy, co-moderates The Wrangler, Brophy’s satire publication, and manages the Work Opportunity Grant Program. Mr. Unrein is from Phoenix and attended ASU where he earned a Bachelor of Arts in English and a Master of Fine Arts in creative writing. He joined the Brophy community in 2008. He coaches freshman football and JV baseball. 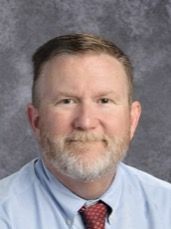 Mr. Walsh earned a Bachelor of Arts from Santa Clara University, a Master of Educational Leadership from Northern Arizona University and a Master of Curriculum and Instruction from ASU. Mr. Walsh first came to Brophy as a Jesuit volunteer for the 1995-1996 academic year and has been a member of the Brophy faculty since 1995. In addition to teaching in the English Department, he is assistant principal for academics.